Hard time getting a loan? Own your car or Own your home? Get a loan. Prudent is the leader in the financial industry offering personal loans, car loans and home loans to people with bankruptcies, proposals and bad credit histories across Toronto and the GTA since 1984. We also give secured loans to self employed. Don’t be fooled by the claims of pay day loan places or other bad credit loan competitors. You'll be amazed by our low rates for bad credit loans in Toronto and the GTA. Click here. Our loans are all open and repayable at any time. We offer on-line and same day financing. No upfront fees. Prudent helps to rehabilitate credit for discharged and undischarged bankrupts, people with proposals almost paid off and people with bad credit histories. Have equity in your car or home? Get a loan! Contact us today for details. Up to $5,000 for Personal Loans. Up to $25,000 for Car Loans. Open, same day loans. You won't believe our low rates and great services. Serving people with bad credit across Toronto, GTA and surrounding regions – since 1984. PMC, is an experienced licensed mortgage broker with access to multiple lenders. Get the best priced mortgage for you. Take the time and energy out of shopping around for the best rates. Up to $20,000 in a fast, open, same day title loan with a paid-off car 6 years or newer (older higher end cars are acceptable). You'll be amazed by our low rates in the GTA for people with bruised credit. Vehicle must be in your name only and fully insured..
Up to $25,000 for any pre-owned car bought from Prudent Value Cars. Or any dealer of your choice. Get the car you want and the competitive rates on financing you need - all on the same day. 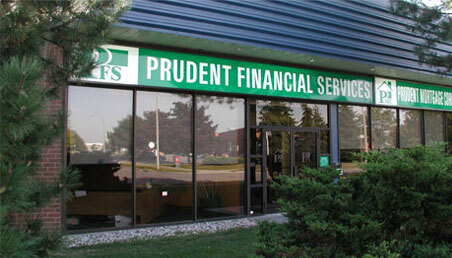 In 1984, Prudent was the first in Ontario to offer bankruptcy and proposal loans. Today, we offer amazing rates as a bankruptcy and proposal lender helping those who need an opportunity to rehabilitate their credit. Get started today! Stop being declined by the bank! We know how hard it is to get a loan from the bank-especially when you are self-employed. Competitive rates. Up to $20,000 in an open, same day personal loan if you have 50% equity to value of your home. No legal and appraisal costs. This is not a secured mortgage. Home equity loans can help in many ways. Go to the ABC's of credit to find out ways to be a smarter manager of your finances. Say no to payday loans, say no to minimum payments on your credit card and more. Get Tips on Investing and Saving Your Money! Free tips that show you how to save more money - and low or no cost fun activities around the city! I was treated with respect. The options available were clearly explained and my advisor was extremely helpful. Prudent Financial never solicits business by text message. If you receive a text soliciting loans from an individual/group claiming to be Prudent Financial, this is fraudulent and this person/organization is in no way affiliated with us.